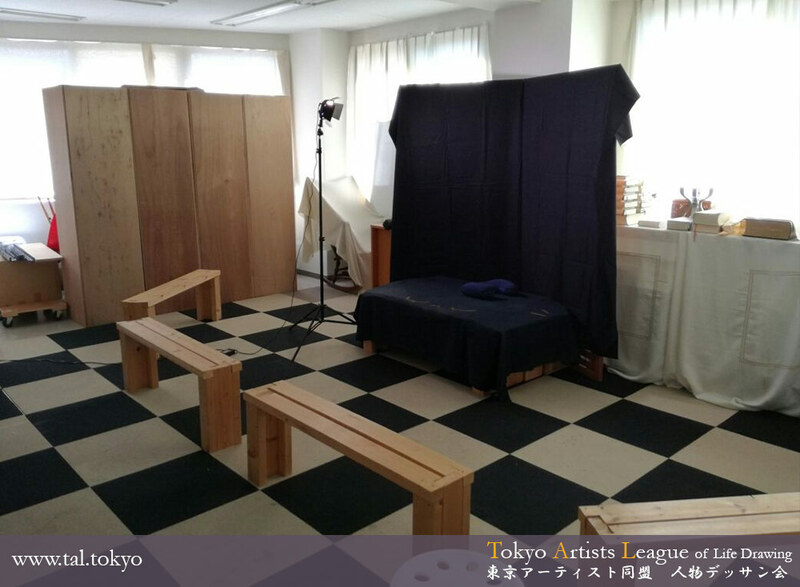 The Toyko Artists League of Life Drawing was founded by Naomi Moriyama in 2016. We run regular life drawing events inviting models from around the world. 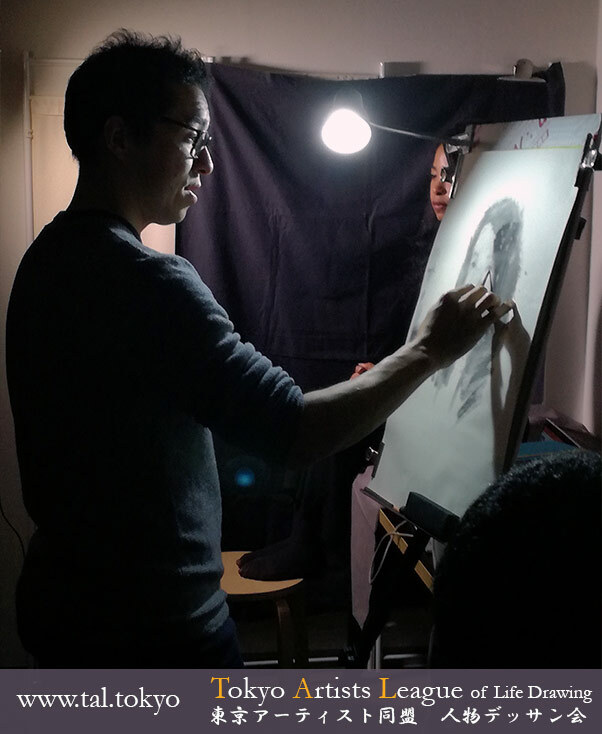 The group is attended by beginners, amateurs and professionals alike and all artists have the option of tutoring, provided at no additional cost. Please join us at one (or all!) of our session venues. Located about 15 minutes stroll from Ueno park, a prime location for the arts in Japan. Nearby is the prestigious Tokyo University for the Arts and many art museums and galleries. Our cosy space, flooded with natural sunlight during the day, comfortably seats around 10 artists. 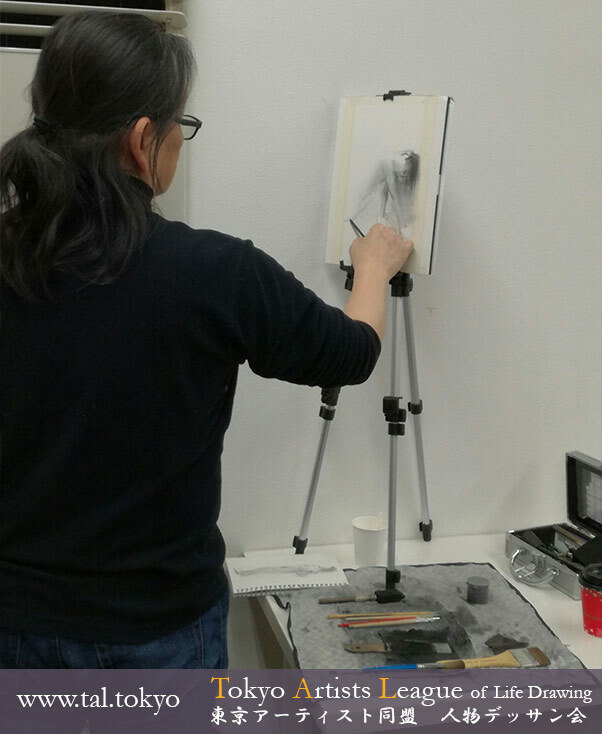 Our resident painter, Takashi-san, is available to provide guidence at no extra cost. And drinks and snacks are free! 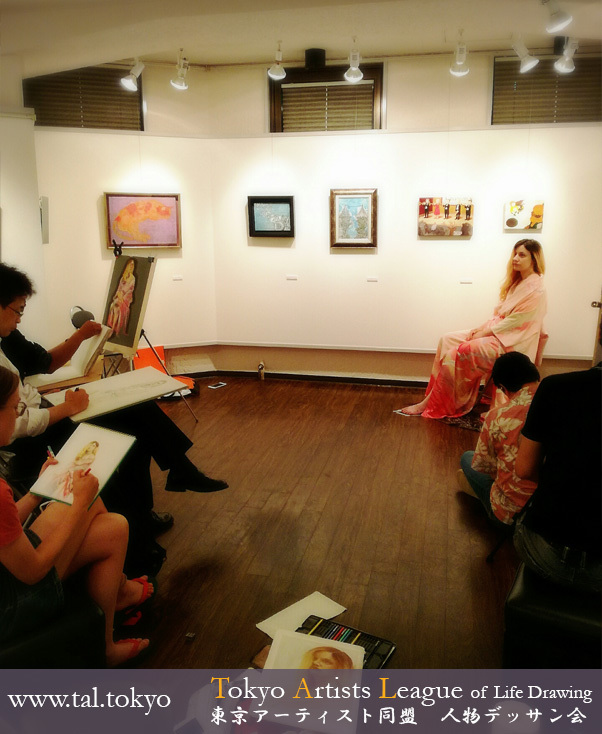 Located in a private gallery, draw our life models while surrounded by brand new works from both upcomming and established artists. This beautifully lit space, seats a maximum of 10 artists allowing you more one on one attention from our instructor. Gallery Tomo exhibition information available here. Located near central Tokyo in the Shinjuku area, surrounded by bars and restaunts, we provide a variety of session types here. Artificially lit sets allow control of ambience and cast shadows. Our long pose sessions allow you to paint for 12 - 20 hours over several weeks. We also run short pose sessions at this venue for gestural practice and study.